1.1	The RØDE Online Store is operated by FREEDMAN ELECTRONICS PTY LIMITED PTY LTD (ABN 91 000 576 483, ACN 000 576 483) trading as RØDE MICROPHONES (“RØDE”) of 107 Carnarvon Street, SILVERWATER in the State of New South Wales, Australia. 1.2	These Terms and Conditions will apply to all purchases made on the RØDE Online Store (“the Store”). 1.3	RØDE may modify these Terms and Conditions from time to time in its sole discretion. 2.1	For the purposes of this clause, “Personal Information” means all information regarding the customer requested by RØDE when using the Online Store which includes but is not limited to the customer’s name, address, phone number, e-mail address and payment card details. 2.2	It is a condition of use of the Online Store that the customer provides the Personal Information requested by RØDE when making a purchase from the Online Store. 2.3	The customer hereby represents and warrants that the Personal Information provided by the customer is both valid and correct. 2.4	The Online Store is available only to customers who meet the RØDE terms of eligibility, who have been issued a valid credit/debit card by a bank acceptable to RØDE, whose applications are acceptable to RØDE and who have authorized RØDE to process a charge or charges on their credit/debit card in the amount of the total purchase price for any merchandise which they purchase. (b)	use the Personal Information provided in order to conduct appropriate anti-fraud checks, by disclosure of the Personal Information to a credit reference or fraud prevention agency, which may keep a record of that information. 3.1	All orders placed through the Online Store are subject to acceptance and availability of the items ordered. 3.2	Any items placed in a customer’s shopping basket are not reserved until purchased and may be purchased by other customers in the meantime. 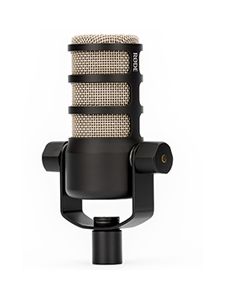 3.3	RØDE offers products for sale that are in stock and available for dispatch from RØDE’s distribution centre. Occasionally however, RØDE may be waiting for shipments from suppliers. Consequently, the customer may from time to time be given the possibility of making an Advance Payment for certain items to ensure that the customer receives these items in priority once stock has been delivered to RØDE. RØDE will only take Advance Purchase orders for stock that has been scheduled for delivery by a supplier. Alternatively, the customer may simply choose to register his or her email address for notification of arrival of the selected merchandise not held in stock. 3.4	Items received into stock may be pre-allocated to satisfy Advance Payment orders and customers making Advance Payments will receive items in priority to customers on the Waiting List or customers ordering through the Online Store for immediate delivery. Please be aware that RØDE may be unable to deliver selected Advance Payment merchandise due to production problems or quality check issues identified when we receive an order into stock. In these circumstances we will notify the customer by email and refund the Advance Payment to the customer’s credit/debit card within thirty (30) days of being advised that merchandise has become unavailable. 4.2	All prices and offers remain valid as advertised from time to time. The Australian Dollar price of an item displayed on the Online Store at the time the order is accepted will be honoured, except in cases of patent error. 4.3	All prices are subject to change at all times. 4.4	Customers purchasing from outside Australia will be responsible for any relevant import duty and tax in their country. RØDE recommends that customers contact their local customs authority to determine any duty and tax payable price prior to purchase completion. 4.5	Where a customer’s credit/debit card is not denominated in US Dollars, the final price will be calculated in accordance with the applicable exchange rate on the day the customer’s card issuer processes the transaction. 5.1	Once a customer has placed an order, the customer will receive an email acknowledging the details of the order. This email is NOT an acceptance of the order, just a confirmation that RØDE has received it. 5.2	The customer will not be able to cancel an order once that order has been placed. It is the customer’s responsibility to ensure that the order is correct before placing that order. 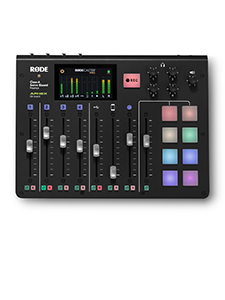 5.3	Acceptance of the order and completion of the contract between you and RØDE will be effected when RØDE emails confirmation that the items ordered have been dispatched. The sale contract is therefore concluded in Sydney, Australia and the language of the contract is English. 5.4	RØDE reserves the right not to accept an order in the event that RØDE is unable to obtain authorization for payment, that shipping restrictions apply to a particular item, that the item ordered is out of stock or does not satisfy our quality control standards and is withdrawn, or that the customer does not meet the eligibility criteria set out within these Terms and Conditions. 5.5	RØDE may refuse to process and therefore accept a transaction for any reason or refuse service to anyone at any time in RØDE’s sole discretion. RØDE will not be liable to a customer or to any third party by reason of RØDE withdrawing any merchandise from the Online Store whether or not that merchandise has been sold, removing, screening or editing any materials or content on the Online Store, refusing to process a transaction or unwinding or suspending any transaction after processing has begun. 6.1	Payment can be made by Visa, Visa Debit, MasterCard, American Express and any other methods which may be clearly advertised on the Online Store from time to time. Payment will be debited and cleared from the customer’s account upon dispatch of an order by RØDE. The customer confirms that the credit/debit card that is being used belongs to the customer or that the customer has been specifically authorised by the owner of the credit/debit card to use it. All credit/debit card holders are subject to validation checks and authorization by the card issuer. If the issuer of your payment card refuses to authorize payment to RØDE, RØDE will not be liable for any delay or non-delivery. 6.2	RØDE takes all reasonable care to make the Online Store secure. All credit/debit card transactions on the Online Store are processed using a secure third party online payment gateway that encrypts the card details in a secure host environment. These details will be fully encrypted and only used to process card transactions which the customer has initiated. RØDE does not store the customer’s credit/debit card details on its systems, but only keeps the details returned from the third party online payment gateway such as name, transaction number and total transaction amount. 6.3	To help ensure that the shopping experience is safe, simple, and secure, RØDE uses Secure Socket Layer (SSL) technology. 6.4	Furthermore, RØDE takes reasonable care, in so far as it is in its power to do so, to keep the details of a customer’s order and payment secure, but in the absence of gross negligence on RØDE’s part, RØDE shall not be held liable for any loss a customer may suffer if a third party procures unauthorized access to any data a customer provides when accessing or ordering from the Online Store. 7.1	RØDE insures each purchase during the time it is in transit until it is delivered to the customer’s specified delivery address. RØDE will require a signature for any goods delivered, at which point responsibility and title for the purchased goods passes to the customer. If the customer has specified an alternative recipient for delivery purposes (for example as a gift), then the customer accepts that evidence of a signature by them (or at that delivery address) is evidence of delivery and fulfilment by RØDE, and transfer of responsibility and title in the same way. 7.2	Please note that RØDE aims to dispatch all orders within 72 hours. Estimated delivery times are to be used as a guide only and commence from the date of dispatch. RØDE shall not be responsible for any delivery delays however caused. 7.3	RØDE reserves the right to restrict multiple quantities of an item being shipped to any one customer or postal address. The item must be returned within thirty (30) days of receipt of the shipment. 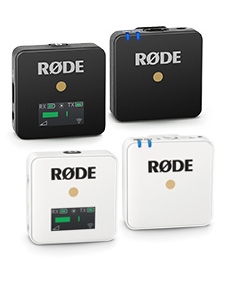 any costs associated with returning the item to RØDE will be the customer’s responsibility. If a refund is requested, the purchase price (excluding delivery charges) will be refunded to the customer by RØDE (via the original payment method) once RØDE receives the returned item and has confirmed that it meets the above conditions. 8.2 To return an item which is faulty, damaged or not as ordered, the customer must call, email, or fax RØDE to request a Return Authorization (“RA”). Upon review, RØDE will respond to the request via fax or email with an RA number or with an explanation for the refusal of an RA number. No return will be accepted without an RA number and goods must be returned in unused condition. RØDE will determine the destination for the return. All returns that meet the conditions of point 8.2 will be shipped at the expense of RØDE, but the customer shall be responsible for any duty and tax payable on shipping the replacement item to any destination outside of Australia. Products may not be returned more than thirty (30) days from the date of original shipment. 8.3 Where products have been returned to RØDE is accordance with any Return Authorisation, then RØDE shall in its sole discretion provide the customer with a replacement of the item at issue, a repair of the item at issue, a credit against future orders made by the customer, or a refund of the full purchase price of the item at issue. 9.1	The use of the Online Store and its contents grants no rights to the customer in relation to any copyright, designs, trademarks and all other intellectual property and material rights relating to the Content (as described in clause 9.3 below), including the RØDE Software and all HTML and other code contained in the Online Store. 9.2	All such Content, including trademarks, designs, and related intellectual property rights mentioned or displayed on the Store is protected by national intellectual property and other laws and international treaty provisions. The customer is permitted to use the Content only as expressly authorized by RØDE and any reproduction or redistribution of the above listed Content is prohibited. Without limiting the foregoing, copying and use of the above listed materials to any other server, location or support for publication, reproduction or distribution is expressly prohibited. However, the customer is permitted to make one copy for the purposes of viewing Content for your own personal use. 9.3	In addition to the Intellectual Property rights mentioned above, "Content" is defined as any graphics, photographs, including all image rights, sounds, music, video, audio or text on the Online Store. 10.1	RØDE tries to ensure that the information on the Online Store is accurate, secure and complete. 10.2	While RØDE exercises all due care and precautions, RØDE cannot and does not guarantee or warrant that files posted to and/or available for downloading through the Site or delivered via electronic mail will be free of infection, viruses, defects, harmful components or any other codes that may have contaminating or destructive properties. The customer shall be responsible to ensure they have up to date virus checking software installed. 11.1	The Online Store is for the customer’s personal non-commercial use only. 11.2	The customer may not modify, copy, distribute, transmit, display, perform, reproduce, publish, license, commercially exploit, create derivative works from, transfer, or sell any Content, software, products, or services contained within the Online Store. 11.3	The customer may not use the Online Store, or any of its Content, to further any unauthorised commercial purpose, including any advertising or advertising revenue generation activity on any other website. 12.1	The customer agrees that the customer will be personally responsible for use of the Online Store and for all of communication and activity conducted on the Online Store. 12.2	If RØDE determines that the customer is or has been engaged in any prohibited activities or otherwise violated these Terms and Conditions, RØDE may deny the customer access to the Online Store on a temporary or permanent basis. 13.1	RØDE may include hyperlinks on the Online Store to other websites or resources operated by parties other than RØDE, including advertisers. RØDE has not reviewed all of the sites linked to its Online Store and is not responsible for the content or accuracy of any off-site pages nor is RØDE responsible for the availability of such external websites or resources, and do not endorse and are not responsible or liable, directly or indirectly, for the privacy practices or the content of such websites, including (without limitation) any advertising, products or other materials or services on or available from such websites or resources, nor for any damage, loss or offence caused or alleged to be caused by, or in connection with, the use of or reliance on any such content, goods or services available on such external websites or resources. 14.1	The customer accepts all risks and responsibility for all loss, damage, costs and other consequences resulting from the customer’s use of the Store or the content, postings or material on or accessible through the Online Store (including search results, editorial content, user rating, any other content or transactions conducted through a linked site). 14.2	Except as expressly stated in these terms, RØDE will not be liable for any loss whatsoever (including, without limitation, indirect, incidental, special, or consequential loss, loss of profits or loss of opportunity), expense, damage, or injury that is suffered (however so caused) in connection with the customer’s access to, or use of, or inability to use the Online Store or the content or materials of the Online Store (including linked websites), whether based in contract, tort, negligence, statute or any other legal theory, except for any liability that cannot be excluded. 15.1	RØDE provides the Online Store on an "as is" basis without any express or implied warranty of any kind. 15.2	In compiling content for the Online Store, RØDE may rely on information supplied by a number of external sources and content posted by third parties, including the content of any messages or reviews. As RØDE does not control the content posted by third parties on the Online Store, RØDE cannot and do not warrant the accuracy, completeness, integrity or quality of such information or content. RØDE does not warrant the information provided on the Online Store is free from human or automated error, and RØDE shall not be responsible for any reliance on any information presented on the Online Store. 15.3	Where any legislation implies into this agreement any condition or warranty and that legislation voids or prohibits conditions in a contract excluding the application of the conditional warranty, and where such provisions cannot be excluded, the liability of RØDE for any breach of the condition or warranty is limited to, at RØDE’s option the cost of the item or items ordered. 16.1	These Terms and Conditions are legally binding upon each party hereto and its successors and permitted assigns, and governed by and construed in accordance with the laws of the State of New South Wales, Australia. Each party submits to the exclusive jurisdiction of the Courts of New South Wales. 16.2	These Terms and Conditions will not be assignable or transferable by the customer without the prior written consent of RØDE. 16.3	No failure or delay by RØDE in exercising any right, power or privilege under these Terms and Conditions will operate as a waiver thereof, nor will any single or partial exercise of any right, power or privilege preclude any other or further exercise thereof or the exercise of any other such right, power, or privilege. 16.4	If any part of these Terms and Conditions is found to be void, unlawful or unenforceable then that part will be deemed to be severed from the balance of these Terms and Conditions and the severed part will not affect the validity and enforceability of any remaining provisions.